Neues AngebotSuper 8 Normal 8 Leerspule Filmspule Eumig in BOX mit Adapter 120 Meter Top ! Mit Adapter um diese Spule auf Normal 8 Projektoren zu benutzen. Mit dem Adapter kann die Super 8 Spule in eine Normal 8 umgewandelt werden. Die Spule ist wie neu und die Box auch Top. Murder In Peyton Place. 16mm Feature Dorothy Malone, Ed Nelson, Mia Farrow, Christopher Connelly, Janet Margolin, Linda Gray. LPP Color. 100 Minutes and on three 1600' reels ready to enjoy. near new LPP color. Excellent condition original with LPP low fade color. No splices. Loud optical sound. ZHAO XUAN AT SCHOOL. I buy 16mm & 35mm Collections. 15 minutes. 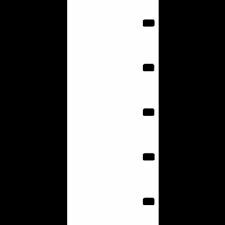 A few thin black lines. 16mm Film Trailer/Tv Spots "MARTIN" 1978. 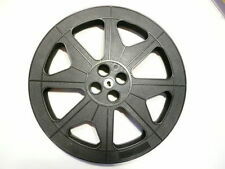 Trailer of 30 seconds on plastic reel. It is loose on the reel. Directed by Hal Roach on location in Nevada. Complete with opening titles and The End. Only a couple of splices (one is a lab splice). In super nice shape! "Ollie is Mighty Giant, who is given to boasting about his romantic prowess. 16mm Film Trailer/Tv Spots. ALL FROM THE 1970'S IN GOOD CONDITION. 1 IS 20 SECONDS, "LONGEST YARD". Condition is Very Good. 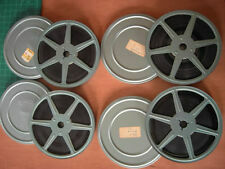 Vintage 16mm Film Lot of 5 30s 40s ....... 5 reels 7" ...... 1 vernacular home movie family....... 2 Documentary Alberta and Jasper Park 30s ...... 2 are movies various shorts ie Here comes the circus and more and songs of the south and show boat ..... 1 has heavy vinegar odor 1 has mild vinegar odor. The final Bruce Lee film released five years after his death. Here’s a Super-8 Color Sound 5-Minute Promo Reel for THE BIRDS with Alfred Hitchcock. VAN HEFLIN. TAB HUNTER. GUNMAN'S WALK. Neues AngebotDuper 8 Walt Disney’s Fantasia - RARITÄT ! 35mm TIN CAN CONCERT. Dynamo Doc Universal cartoon. IB Technicolor. Film cells. 35mm TIN CAN CONCERT. IB Technicolor. Film cells. Very good condition. 35mm TRUANT STUDENT. Windy Bear Universal cartoon. IB Technicolor. Film cells. 35mm TRUANT STUDENT. IB Technicolor. Film cells. Very good condition. In NMint cond with great booming sound, excellent contrast, very lite wear if any, No splices. 3m protection coating on film base. Guter Zustand - siehe unten weitere Bilder. Die Farben sind gut, ohne Rotstich. 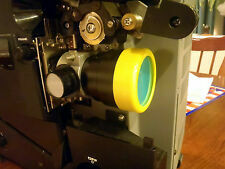 Super 8mm 8X400 THATS ENTERTAINMENT. MGM classic musical. Lpp polyester print. MGM classic musical. Lpp polyester print. Excellent colour. Juggernaut 16mm Film (Anthony Hopkins), (1974). Condition is Good. The film is good condition, there is no vinegar smell and no apparent splices. Pictures are of the film. The first picture is not included in the auction. When a luxury cruise ship reaches the high seas, its owner (Ian Holm) receives a disturbing phone call from a man known only as Juggernaut (Freddie Jones) : Pay a steep ransom or he will explode the ship. Soon after the demand, explosives expert Lt. Cmdr. Anthony Fallon (Richard Harris) and his squad parachute onto the cruise ship to defuse the rigged time bombs. On land, Superintendent John McLeod (Anthony Hopkins), who has family on board, searches for the terrorist. 16mm COLOUR SOUND FEATURE FILM "DOCTOR JUSTICE"
THIS IS A 1975 FRENCH ACTION ADVENTURE FILM "DOCTOR JUSTICE" STARRING JOHN PHILLIP LAW, GERT FROBE AND NATHALIE DELON. IT IS A 16mm SOUND, COLOUR FILM ON THREE 1600ft SPOOLS. 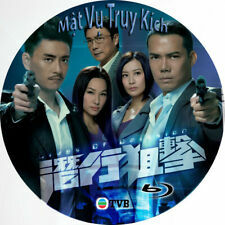 THE PLOT IS ABOUT Dr BENJAMIN JUSTICE (JOHN PHILLIP LAW) WHO WORKS FOR THE WORLD HEALTH ORGANISATION AND IS AN EXPERT IN JUDO, JU-JITSU AND KARATE. Magical fun by that magical British studio, ITC. Great cast- Christopher Lee, Emma Samms, Peter Cushing, Milo O'Shea, Capucine, Mickey Rooney. If color, amount of fading- Slight fading, but much of the original color is there. Very Good condition IB TECHNICOLOR original print with a couple of splices at beginning & at end. Disney's imaginitive re-interpretation of the music to The Rite of Spring features a condensed version of the history of the Earth from the formation of the planet, to the first living creatures, to the age, reign, and extinction of the dinosaurs. 16mm LIMITS TO GROWTH. 1973 Thames TV documentary. 16mm colour sound 16mm LIMITS TO GROWTH. Complete on two 1200ft reels in plastic cans. Good colour print. Excellent condition TECHNICOLOR original print with just a couple of splices. HRH Princess Elizabeth and Lieutenant Philip Mountbatten Westminster Abbey 20th November 1947. I buy 16mm & 35mm Collections. Super 8 Film"Color Tonfilm Spiel mir das Lied vom Tod"" guter Zustand""
Ansonsten sehr schöner Zustand macht schon von der Filmmusik Riesen Spaß. When Deeds is convinced to move to New York, hard-boiled newspaper reporter Babe Bennett is dispatched to get the inside scoop on "The Cinderella Man.". MR. DEEDS GOES TO TOWN. I buy 16mm & 35mm Collections. Landmarks of London by Blackhawk Films 8MM Color Movie 820-33. These films have been put together by Carl Dudley of Blackhawk Films® out of. London landmarks. Film number 820-33. This reel features 11 individual films of the following landmarks. The Interrogator. Only Norvan Kruger knows the location of a submarine that will launch nuclear missiles against the United States. To complicate matters Kruger has been captured by a third party also. See full summary ». Super 8mm 1X100 CLEOPATRA trailer. Elizabeth Taylor classic. Super 8mm colour sound 1X100 CLEOPATRA trailer. Elizabeth Taylor classic. Very good condition. Fair colour print. HERE WE HAVE 2 x 16mm PLASTIC FILM CANISTERS. MADE OF TOUGHENED PLASTIC. This is taken on the standard 8mm cine standard (NOT Super 8). HERE WE HAVE 2 x 16mm PLASTIC FILM CANISTERS (EVEN THOUGH THERE IS A PIC OF ONE). MADE OF TOUGHENED PLASTIC. GEORGE BURNS AND GRACIE ALLEN. so Gracie goes out and buys Ronnie a convertible. Mounted on 1200 ft. reel. I buy 16mm & 35mm Collections. Star: KNOTHEAD & SPLINTERS (WOODY WOODPECKER). 7 minutes. All have been cut from original film reels that would have been shown in the cinema. Film super 8 Disney "Les trois caballeros" couleur et sonore sur bobine 60m. La boite et le film sont en très bon état. Envoi en lettre bulles suivie. William Blaisdell and Jimmie Harrison also star. The print runs smoothly, and is complete, with one splice. AGENT 8 3/4. "HOT ENOUGH. DVD or BLU-RAY. 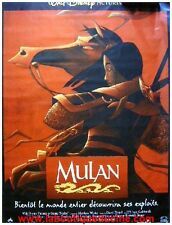 print is in very good to excellent condition full opening titles and closing credits no wear or splice filled sectons. original title. 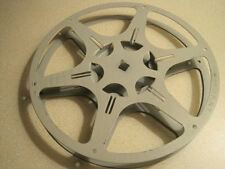 Super 8mm 1X50 THE STING trailer. Robert Redford, Paul Neman classic. 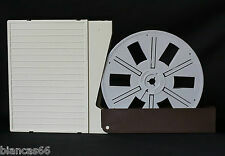 Super 8mm colour sound 1X50 THE STING trailer. Robert Redford, Paul Neman classic. Very good condition. Good colour print. Estate find. 4 reels or episodes of You bet Your Life with Groucho Marx. Says Filmcraft. I believe they are 8MM. I'm not a film collector. Kurzinhalt: Besuch der 47. Film ist auf einer Filmspule. Very nice leisure recordings from approx. A movie with nice old amateur recordings in good quality. Total film length approx. 5 minutes. Film is on a film reel. The film is full of great music and British humor by the Fab Four. It's a fun and exciting film.a pop film on what 'Beatlemania' was all about back then in 1964. I buy 16mm & 35mm Collections. Just 1 splice. Super 8mm 1X50 SATURDAY NIGHT FEVER trailer. John Travolta classic. John Travolta classic. Very good condition. Very good colour print. > Color Tonfilm / ca.120m / Super 8. - Rücken der Hülle ist an der oberen Kante eingerissen / bechädigt (siehe Foto). - Hülle an der unteren rechten hinteren Ecke beschädigt (siehe Foto). Das Imperium schlägt zurück # 2. I buy 16mm & 35mm Collections. He manages to create a carnivorous plant that feeds on human flesh. The plant needs food to grow up, so it convinces him to start killing people. Maybe just 3 or 4 splices. Vintage 16mm film ~ TED MACK ACT - THE YOUNGSTERS ~ 3.5" reel Amateur Hour? Super 8 Normal 8 Leerspule Filmspule Eumig in BOX mit Adapter 120 Meter Top !